Not surprisingly, Republican leaders are already denouncing President Obama for being too mild in his response to Russian President Vladimir Putin's expansionist course in Ukraine and defiance of the West. What is much more likely to emerge as a bipartisan national strategy, especially in the long run, is a future that both Obama and Republicans have been touting: America's prospective role as an energy export superpower. Thanks to breakthroughs in the controversial technique of fracking, or hydraulic fracturing, the United States recently passed Russia as the world's largest producer of natural gas. Similarly the United States is expected to overtake Saudi Arabia and Russia as the world's top oil producer by 2017, also because of new technologies, according to the International Energy Agency. 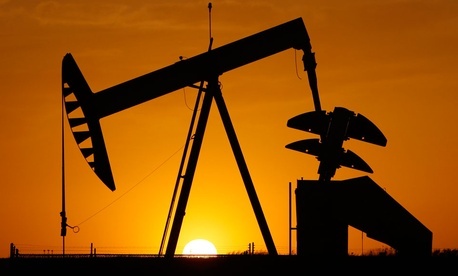 The United States still possesses an astonishing total of about $128 trillion in "technically recoverable" oil and gas resources alone, amounting to eight times the national debt, says the Institute for Energy Research, a right-leaning nonprofit foundation in Washington. Unlocking a somewhat larger portion of those resources of oil and gas in an environmentally cautious way, while also launching a massive new investment program in green and other technologies, would strike directly at the heart of Putin's apparent strategy for resurrecting Russia, some experts say. It would also mark a distinct contrast from the personal sanctions applied so far against his top cronies, which appear not to have dissuaded Putin at all. The Russian leader has long believed that Russia's power lies in its oil and gas resources (he even wrote a paper on the subject as a graduate student in St. Petersburg), and he has not been shy about applying this as leverage against the former Soviet bloc countries on his periphery and against Western Europe, where the reluctance to sanction Moscow more severely is clearly linked to its dependence on Russia for more than a third of its oil and gas. Strikingly, Putin has appeared to become so reliant on the economic potential of energy that he has done relatively little to open up and modernize Russia's economy, despite what should have been a globally competitive tech sector stemming from the nation's history as a defense and scientific giant. In recent weeks, both conservative outlets such as The Wall Street Journal editorial page and prominent liberal platforms of opinion like The New York Times have suggested that the United States increase its natural-gas exports to help Western Europe and reduce Putin's leverage, especially over Ukraine, which before the standoff obtained about 90 percent of its natural gas from Russia. Some Republicans on Capitol Hill have also used the crisis to plug pet projects like the Keystone pipeline and press the Obama administration to license more natural-gas exports. Senator Lisa Murkowski, a Republican from Alaska, has called for lifting the ban on U.S. oil exports. In truth, there is probably not much the U.S. can do in the immediate future to shift the economic dependence for Europe dramatically; the necessary plants and facilities will take years to build. The more realistic question is longer term: whether such a strategy should become a kind of energy analogue to Cold War containment policy, in part to counter what now looks like a long-term Putin strategy toward reasserting Russian influence in the former Soviet sphere. America's rise to energy independence and exporter status would achieve the multiple aims of undermining the sources of Putin's power and influence, drawing Western Europe closer, keeping China from allying its own future too closely to Moscow's (despite persistent wooing by Putin), and further freeing America of dependence on another region that has become increasingly fractious and undependable: the Arab world. The United States appears to be facing an era of enduring political instability in oil-producing countries like Iraq and Iran, and less and less dependable diplomatic relations with allies such as Saudi Arabia and Qatar in the aftermath of the Arab Spring. Such a strategy would also, not coincidentally, go a long way toward solving America's chronic debt problem, which has become a grim barometer of other countries' assessment of the United States' so-called decline as a superpower. And grasping hold of a new energy future is, almost uniquely, an issue that both parties seem now to agree on, despite the anxieties of the environmental lobby. "If we could tap into even a smidgen of that wealth, we would solve our fiscal problems," says James Pinkerton, a former official in the Reagan and George H.W. Bush administrations and a fellow at the New America Foundation. "Now, with the prospect of a new Cold War, we might look at the strategic imperative of using that hydrocarbon power to deflate the Russians. It worked in the '80s for Reagan against the Soviets. It could work in the teens for the U.S. against Putin." During the 2012 presidential campaign, Mitt Romney unveiled an aggressive program to open up more oil and gas drilling on federal lands. Some Western Democrats in the Senate who have already been vocal in support of expanding energy exports say the last few weeks have revved up interest in revisiting the sticky issue of balancing environmental protection against resource development, and finding a way around objections to fracking and other controversial technologies. "The Crimea issue has definitely raised the issue's profile," says Jennifer Talhelm, spokeswoman for the Democratic Senator Tom Udall. Obama, even while touting America's future as an energy exporter, has been cautious in his approach, until now. But that may soon change too, especially as 2016 rolls around. Who has been among the strongest supporters of a new American geopolitical energy strategy in recent years? Former Secretary of State Hillary Clinton.